The gabled building behind the lorry is the White Horse pub, on the corner of Station Road and Leicester Road. The shops next to the White Horse on Station Road have since been demolished. 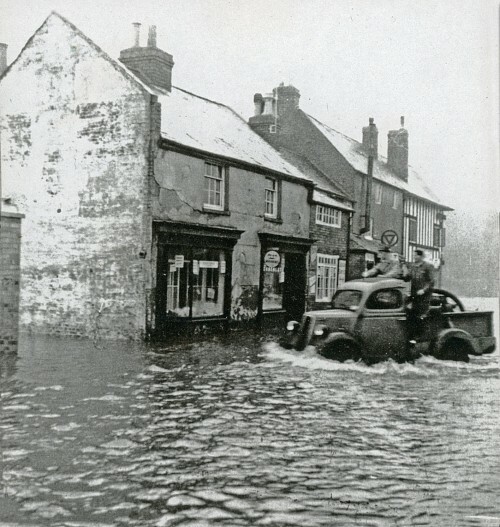 This area used to flood frequently and it is thought that this picture was taken during some particularly bad floods in 1947. The photograph was kindly lent to Quorn Village On-line Museum for scanning by Barry Montgomery, who was landlord of the White Horse pub from 1982.